Dr. Robert Lauf holds a Ph.D. in Metallurgical Engineering from the University of Illinois. His scientific career included over twenty years at Oak Ridge National Laboratory, where he conducted research on topics ranging from nuclear fuel, coal by-products, materials synthesis, microwave processing, sensors, optical materials, and biomineralization. He has been granted fifty U.S. Patents for his inventions, many of which have become successful industrial products. He is now a Registered Patent Agent and technology consultant. Herwig Pelckmans was born in the summer of '62 and grew up on the outskirts of Antwerp (not Antwerp, New York, but Antwerp in Belgium). When he was 10, his parents gave him a comic book, on the evolution of life on earth. One section dealt with paleontologists finding dinosaur remains in Mongolia. It did not take long for Herwig to find large bones and teeth himself. The fact that they later turned out to be whale bones and shark teeth, instead of dinosaur fossils, did not really turn him down; the collecting bug had already taken over. Ever since, his travels and collecting trips have brought him and his family all over Europe and the United States, and even to some countries in Africa and Asia. Besides, he loves to write mineralogical articles and give talks for mineral clubs. Since last year, he is the president of the "MKA" (= the Mineralogical Society of Antwerp; one of the most vivid mineral clubs in the world). Herwig is also promoting the use of the polarizing microscope and the spindle stage as inexpensive and reliable tools for mineral collectors who want to identify their unknowns in a scientific way. Herwig retired from his job as an officer and a database administrator for the Belgian Army in 2013, and soon realized life is even more hectic when you are retired. He lives with his loving wife and three kids in the small town of Hasselt in Belgium. He has presented at Tucson, Rochester, Redlands, Placerville, to name a few. "Merelaniite and Associated Minerals of the Merelani Tanzanite Deposit"
"Tiny Minerals in Big Rocks: the Microminerals of Granitic Pegmatites"
Dr. Michael Wise is a geologist in the Department of Mineral Sciences at the Smithsonian’s National Museum of Natural History. 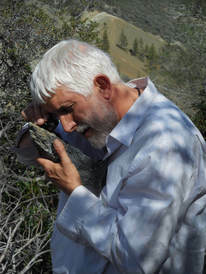 ​He has been studying pegmatites all over the world for the past 30 years. His research focuses on the chemistry of rare minerals to understand how pegmatites form and evolve. These same rare minerals can also be used to help locate potential new deposits of economic significance. Mike’s research has included studies of pegmatites in the New England states, California, Colorado, Nevada, North Carolina, and Virginia. He also visited sites with pegmatites in Brazil, Canada, the Czech Republic, Italy, Madagascar, and Namibia. Mike is heavily involved in managing the Smithsonian’s Gem and Mineral Collections. He is also very active in the museum’s education and outreach. Dr.
​Wise graduated from University of Virginia in 1979. He became employed by the Virginia division of Mineral Resources (VDMR) as a geologist, and published his first paper on blue quartz in Virginia. He received his Ph.D. at the University of Manitoba in 1987, and was hired by the Smithsonian in 1988. His specialty is the mineralogy, petrology, and chemistry of pegmatites. Scott is a self-taught mineralogist who first started collecting on the dumps of the Rutherford Mine pegmatite in the late 1960's. Early on, he received extensive lessons in the field from the late Frank Crayton, a research chemist with Philip Morris in Richmond. Over the years, Scott collected in the pegmatite over 100 times, amassing a large and representative collection of the pegmatite's rare species and rare-earth minerals. He began the laborious process of meticulously examining every piece of the material he had acquired, using both an illuminated lens and a stereo microscope, aided by a wide variety of research materials that was available to him. In 2014, Scott began working with Michael Pabst of the MNCA on the project of taking numerous photomicrographs of representative species, as well as putting together this accompanying Power Point presentation. In 2016, Scott received the generous donation of a lifetime's worth of small Rutherford Mine specimens from Pete McCrery, a long-time member of the Richmond Gem and Mineral Society and a personal friend. Afterwards, Scott began working with Tony Nikischer of Excalibur Minerals for the purpose in identifying the individual species in the recently-organized Microlite Group of the Pyrochlore Supergroup that occurred at the Rutherford Mine. While the research for this project is ongoing, and the tentative species identifications awaits further confirmation with Raman Spectroscopy and/or X-Ray Diffraction, this presentation accurately reflects the information gathered so far. Tony’s interest in minerals was stimulated by an early visit to Franklin, NJ in the 1960s. Today, he is founder and president of Excalibur Mineral Corp., arguably the largest provider of systematic minerals in the United States. 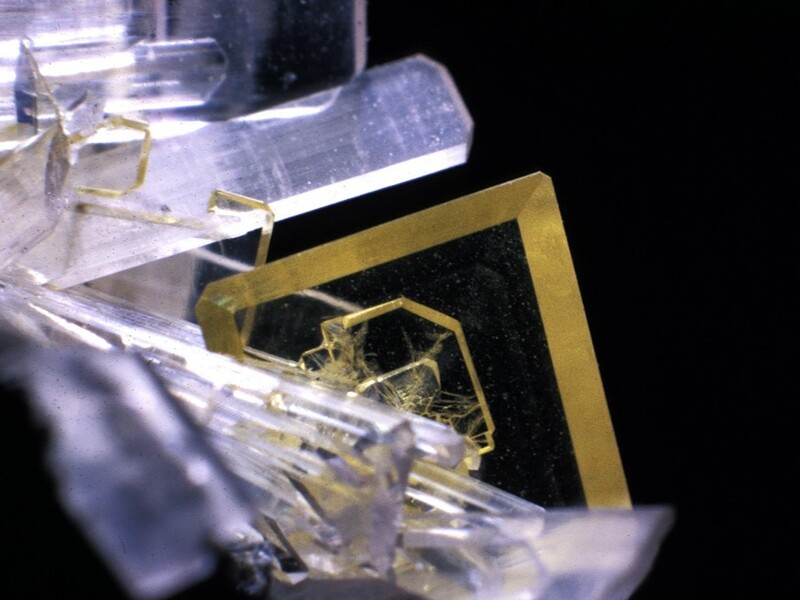 The company has specialized in rare minerals for researchers, museums and private collectors worldwide since 1974. He operates an in-house analytical laboratory and is also the publisher of the monthly periodical, Mineral News. Robert was an Accounting and Law professor at the State University of NY, College at Oneonta for 31 years. Prior to that he spent several years working as an accountant with an accounting firm. He has been collecting micros since about 1964, and has been photographing minerals for about ten years. Robert has done some field collecting, mostly during the 1990's with continued success today. Some of his favorite collecting sites are MSH and Varennes, Arkansas, and most recently Virginia. *Micro Photo Editing - Stacking (partly interactive) with comments on photo management. Joe Marty is a retired medical technologist who taught hematopathology at the University of Utah. He presently operates a microscope-service business. Joe is an avid field collector and photographer of micro-minerals. Joe was elected to the BMS Micromounters Hall of Fame in 2005. He has found many new minerals in the Southwest and maintains productive scientific collaborations with (other) mineralogists in the U.S. and abroad. Joe and his wife Petrea, spend their summers fishing in Alaska on Prince of Wales Island. Topics: Recent Collecting Adventures; Hidden Treasure Mine, Utah – A Mineral Collector’s Treasure; New Vanadium Minerals from the Colorado Plateau with an Emphasis on Postite; and My Favorite Microminerals – Self Collected, Trades, and Purchases.